i am lookin for a wah pedal for my peavey raptor special. i hav not previously owned one and don't really know which one to buy. at the moment i am lookin at the Boss V-wah as my #1 choice but what do u think i shud but? Loc: COSTA RICA, Beauty of Nature. Lots of good wah pedals out there. Vox and Dunlop are the best at a reasonable price. I've got a GCB-95 Crybaby. If I had it to do over, I'd get a Crybaby 535Q in chrome finish. The Vox Wah pedal, hands down. I don't care what style or anything you play. I love my Vox. I'm on my second Cry Baby (the first was accidently in the trunk of a car I sold ages ago). The sound you hear on records is Cry Baby. Crybabys and Voxes sound great but they start to get scratchy as dirt gets into the pot. Check out a Morley - they're optical so they never have that problem. Sound a little different than Crybabys though. I have the Dunlop 535Q Crybaby pedal and it is the last wah I will ever own. Try it out before you buy. The ability to completely change the sound of the wah is awesome. Dunlop 535Q for excellent tone with good versatility. Vox Wah for top tone, but it's not as versatile. I play bass, but I've got a Dunlop Crybaby Wah, and I love it. It kicks in the low frequencies, even down to the low B, and slams in the high frequencies. Really great wah, and sounds trippy with the chorus. I use the same Crybaby (95Q) for my bass and guitars. It works extremely well for what I want. The guitar player in my band uses a Korg floorboard which incorporates Vox effects, and I like what the Vox wah sounds like... I've never used the Morleys but I hear they're good too. But then, lots of folks use Dano's too. Just like any effect, you need to hear and use them all to make a good decision. I'm happy with my Dunlop, Matt likes his Korg/Vox, etc... and as far as the Crybaby's scratchy pots, it can definitely become an issue, but only with old pedals that have sat unused for a long time, and the replacement parts are readily available from Dunlop and not at all hard to change out should you ever need to. I finally got a 95Q and love it. WAY nicer than the morley stuff. Auto-on/off feature when you start moving it, very nice. and as far as the Crybaby's scratchy pots, it can definitely become an issue, but only with old pedals that have sat unused for a long time, and the replacement parts are readily available from Dunlop and not at all hard to change out should you ever need to. Or a good electronics cleaner/lubricant can be purchaced for two bucks at your local Radio Shack. Spray it in the pot, turn the pot, spray again. All done! True enough, but once the pots get dirty, the cleaner only prolongs the inevitable... but they will definitely last long enough for most people's purposes... unless you wah 24-7 you would be just fine. I bought mine used, and who knows how long it sat on the shelf... it was a bit scratchy, and I did indeed use a squirt or 3 of the stuff to clean it up... but pretty soon I am going to have to swap the pot. You can still hear the scratching on certain settings. I have a Morley Bad Horsie. The sound is OK but I absolutely love its operation. Unlike most of the other wah pedals, it turns on once you put weight on the pedal and turns off once you take your foot off the pedal (most wah pedals, you have to press it all the way down until it clicks to turn it on and off). In some songs, I use the clean channel on my amp via its footswitch with a wah and then I need to switch to the distorted channel (again with my amp's footswitch) without a wah really fast - and I'd need to go back and forth around 4 times in one song. Before the Morley, I'll mess up many times where I'm on the distortion channel but the wah is still on or I'm on the clean channel but I didn't quite get the wah to switch on. The only downside to the Morley's operation is when I use it as a solo boost - unlike other pedals where you can just leave it at a certain position of wah without stepping on it, I'd have to keep my foot on it. I have a Vox wah wah that I bought back in 1975. The greatest wah pedal ever made and it still works to this day. I have tried the new ones and to me, for some reason they just arent the same. I believe I had to replace the pot back in 1980 or so, but other than that the pedal screams!! But in regards to your question as to what wah pedal to buy...I just tried a Tech 21 Killer Wail and I love it, with 3 settings it sounds great. I would look into that one along with the others that were metioned. Has any one ever tried a Thomas Organ wah. I have a very good friend who uses one and he could get some of the smoothest clean funk sounds that I just couldn't get with a Dunlop. So I bought a Vox wah which I liked better than the Dunlop but still no comparison to my friends Thomas Organ. Then one day going through a pawn shop I found a Thomas Organ wah in very good almost new condition. Even though the guy had no idea what the thing was he would not budge off of $125.00 but I just had to have it. I am glad I got it because it sounds just like my friends. I admit I have not tried any of the new models but I have yet to here a better wah for me than the Thomas Organ. If any one knows any history on the Thomas Organ Wah please add reply. All I know is they sound great, they don't make them any more, and they are very hard to find. When in doubt, BEND IT!!! The difference is in the inductors that they each use in the Wah circuit. The Thomas Organ wah is pretty well known to have a great inductor in it. Kinda like how the transformers in tube amps react with the tubes and effect the sound. The old Vox pedal that I mentioned earler that I bought back in 1975 (and it was used) is Model V846 and is made by The Thomas Organ Company. Maybe that has a lot to do with the sound. No Fulltone Clyde users here?? Great pedal, great craftsmanship, great "quack." True bypass . . . I've played Morley (hate 'em), and Crybaby. The Clyde is the best sound I've gotten. Yes,Morley Vox Dunlop are all good. Haven't tried out the Budda or Killer Wail. I have a Vox V847, a reissue of the original from the 60's and I like it a lot. I've replaced the pot with the Dunlop pot after it wore out. I also modded the pedal to have a DPDT switch for true bypass, a DC input so I wouldn't need to use a battery, and a resistor mod to change the 'voicing'. Vox now has the V850 which has the switch mod and the DC jack like mine. 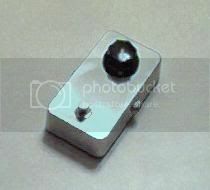 Vox also has the new 'Clyde McCoy' Wah which has a copy of the original inductor, a true bypass switch, and a DC jack. I want to try the Vox Clyde McCoy and see how it differs from my reissue. There are also the pedals made by Gerald Teese called "The Real McCoy". They come in several variations including models with selectable voicing. They claim to have an inductor which copies the original Clyde McCoy Vox. Another interesting innovation is the V-Wah by Roland. It uses modeling technology to emulate different types of wah pedals and includes other FX also. I play gigs with a guy that has one and it sounds very good. Probably pretty expensive too. Try out a Dunlop Cry-Baby - they are reliable, heavy-duty, are good on batteries and sound great. I've used the same one for hundreds of live and studio gigs, and it still sounds great. The battery issue is interesting... most of my dad's pedals eat batteries faster than the CryBaby! Except for his Ibanez Soundtank Tremolo pedal, that is... very interesting. Anyhow, the CryBabys are great. I've also tried a Morley, and they're good too, especially for low maintenance folks, and those that don't like a wah (or any other stompbox) with no LED. I forgot to mention that I used to have a Snarlin' Dogs Mold Spore wah and ring modulator. Talk about a wild pedal! Really weird! But, I didn't like the ring modulator, and the wah was a lot darker than my Crybaby (even with three settings, a volume boost, and a couple of other gadgets). It got traded for a Big Muff Pi. I like the tech 21 killer wail. It's a very "transparent" wah... all of the wah fun yet doesn't kill your tone. I use the Vox Clyde McCoy reissue. Sounds great and built like a tank. I have a Cry Baby 535 that sounds pretty cool. I like to use the boost on it for real aggressive sound. But, I do have a small problem. Sometimes the switch doesn't engage , especially if the floor is carpeted. Someone suggested that I glue a penny to the bottom of the pedal above the switch so that there's a better contact. Anyone hear of this?